Special services of welcome for children Parents often think about bringing their child to church for a ‘christening’ or for giving thanks to God. 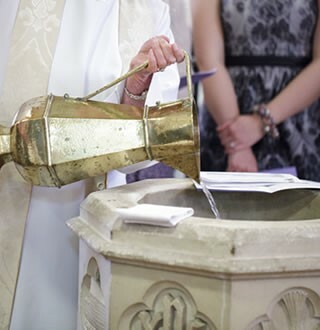 There are several possibilities: In a baptism service parents make a commitment to bring up their child to follow Christ and as part of the church family. This service takes place during Sunday morning worship. It is a very meaningful service and the minister will want to help you understand more of that meaning beforehand. A service of thanksgiving and blessing is a simple service that can be arranged for different times, and at quite short notice. It is what it ‘says on the tin’: an opportunity to say thank you to God and ask his blessing for your child, and often to celebrate the circle of family and friends around the child. Sometimes parents want to bring up their children to follow Jesus, but leave it for them to choose to be baptised when they’re older. A service of dedication is a good way of marking this commitment. And as people get older … It’s never too late and you’re never too old to think about baptism. At Bradwell Church we have rejoiced with a number of people, from older children to teenagers and adults, who have chosen to affirm their faith through baptism. 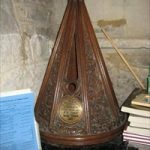 Sometimes this has happened with a little bit of water at the font in St Lawrence Church; sometimes with a lot of water, when we have arranged to use the baptistery at another church for a baptism by immersion. Confirmation is another great occasion when people old enough to make their own decision affirm for themselves the commitment to the Christian faith often made for them when they were younger by parents and godparents. A Confirmation service usually takes place in a joint service with members of other churches, and the candidates are prayed for to be strengthened by God’s Spirit in their journey of following Christ.